One of the best things about having an Apple Watch is the convenience of being able to action notifications directly from your wrist without having to get your phone out. Many apps take full advantage of this convenience, like Tweetbot and Spark, and MacID is no exception. With Tweetbot you can “like” a mention, and with Spark you can mark an email as read. With MacID, you can unlock your Mac and snooze Proximity Wake requests (with more snooze options showing on the Watch than on iOS). There’s one major difference between the other apps and MacID’s notifications on watchOS, which is that it’s really noticeable when MacID’s notifications don’t work. When you like a mention, you just tap it and assume it’s been liked. When you mark a mail as read, you do it and forget about it. But when you tap “unlock” for MacID, if it doesn’t unlock, it’s immediately apparent it hasn’t worked. 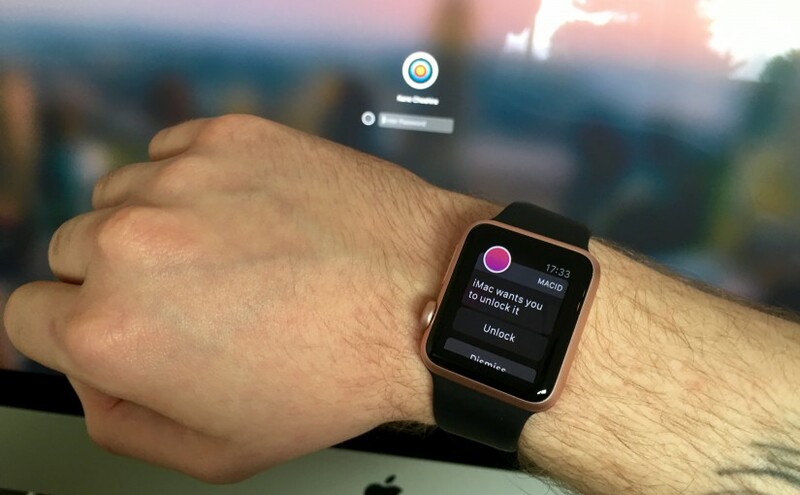 In actual fact, all watchOS notifications suffer from this. This has been a long-running issue since watchOS 2.0, and one that is yet to be fixed by Apple. As developers, there’s not a great deal we can do. The problem is that when you tap on a notification button on your Watch, sometimes the iOS app doesn’t get informed by watchOS; which means that the app doesn’t do anything. There does seem to be one thing you can do, as the title of this post says, and that’s to wait just a moment longer after the notification appears on-screen on your Watch. Although this is frustrating, it does seem to work much more reliably. Give it a go, and let me know how you get on by tweeting @MacIDHelp. A lesser-known feature I added to MacID v1.3 was the ability to extend MacID with AppleScript.